Rebecca in the clothes she was last seen in. On 01 January 2017 Rebecca Hayward arrived in Alice Springs from Perth to stay with family. At approximately 8pm that evening, Rebecca left her address in Gillen, Alice Springs and hasn't been seen or heard from since. At approximately 8.30am on 02 January 2017, it is believed Rebecca was sighted by a member of the public, approximately 15 kilometres north of Alice Springs on the Stuart Highway. There have been no confirmed sightings since. Concerns are held for her welfare as Rebecca has no other known links to the Northern Territory. If you have information that may assist police to locate Rebecca please call Crime Stoppers on 1800 333 000. Police hold concerns for missing 35-year-old Rebecca Hayward (pictured). Senior Sergeant Daniel Whitfield-Jones said she left her Gillen residence on foot around 8pm on New Year’s Day. She has not been seen or heard from since. 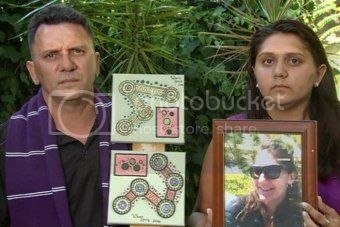 Ms Hayward is described as Indigenous, with long dark straight hair, brown eyes, medium build and is about 173cm tall. She was last seen wearing blue denim shorts rolled up to the knees, a green T-shirt and thongs. We ask anyone who sights Rebecca or who has any information to contact police on 131 444, says Sgt Whitfield-Jones. Ms Hayward was last seen on January 2, about 8:30am, walking on the north Stuart Highway, about 10km north of Alice Springs, near the James Orr Overpass, heading north. The increasingly desperate family of missing Alice Springs woman Rebecca Hayward have made a heartfelt plea for information on her whereabouts. Rebecca’s father Eric Hayward and sister Bonnie Hayward have arrived in Alice Springs from Western Australia to help find the loved mother, who has been missing for more than a week. “I hope you get this message as your family back home are hoping that you will return home soon,” Mr Hayward said. Bonnie said it was extremely out of character for her to go walking off and not to contact the family. “She hasn’t been to Alice Springs ever before,” Bonnie said. 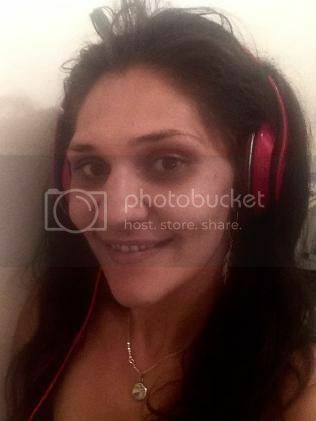 Ms Hayward, 34, was last seen on January 2 walking on the Stuart Hwy about 10km north of Alice Springs. Rebecca is described as indigenous with long wavy black hair, brown eyes and medium build. 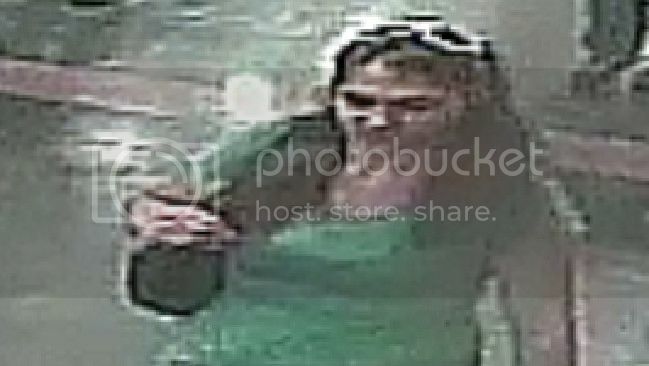 She was last seen wearing a green T-shirt, blue denim shorts folded up at the bottom and a pair of dark coloured thongs. 11 hour window: Does it hold the answers to the disappearance of missing mother? NEARLY three weeks since mother-of-three Rebecca Hayward vanished in Alice Springs, her mother believes the 11-hour window between her last two sightings could shed light on her disappearance. 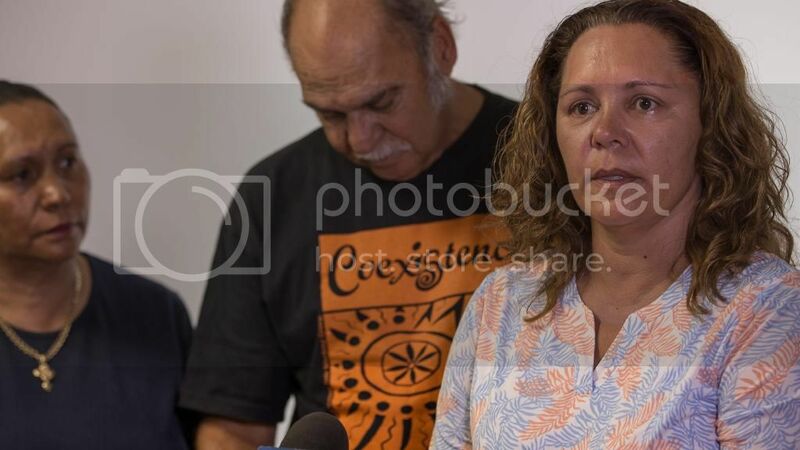 Rebecca was last seen walking along the Stuart Highway 16km north of Alice Springs on January 2, after she left her aunt’s Gillen property at 9pm the previous night. Neither investigators nor the Hayward family know what happened to their beloved daughter and sister that night. Her mother, Lori Hayward said somebody must know where the 35-year-old went during the 11-hour period. However, the police investigation has stalled and Mrs Hayward has issued a desperately plea for information. “Somebody has had to have seen her between 9pm and 8am the next morning. If Rebecca should be reading this paper, no matter where she is in her life she can always call her parents. She can always call home,” she said. Police launched an aerial and ground search with mounted unit, bikes and NTES volunteers. The search failed to reveal any trace of Rebecca. Two witnesses who spoke to Rebecca on the side of the Stuart Highway have been interviewed by police, one offered the 35-year-old a lift but she declined, Mrs Hayward said. “There’s been three sightings on that road at about the same time and two people have actually stopped and spoken to her. In Alice Springs people that know the area know it’s something you just don’t do. Mrs Hayward said her daughter was a confident young woman — but her confidence could be misplaced in a crowd of strangers. “Rebecca is a very outgoing personality. She will come across as very confident, she is well spoken, and she has a great sense of humour and can be very determined. Mrs Hayward said there was nothing to indicate Rebecca was troubled in the days before her disappearance. She was travelled from Perth to Alice Springs, accompanied by two aunties to visit a third aunt who was working in the Red Centre. An NT Police spokeswoman said investigators were still searching and had no new leads in the case. She said police do not believe Rebecca’s disappearance was suspicious. Anyone with information about Rebecca’s disappearance should call Police on 131 444. The family of missing West Australian woman Rebecca Hayward, who disappeared during a visit to Alice Springs, say they are "desperate for information", as police admit a month later they are no closer to finding her. The 34-year-old mother flew from Perth to Alice Springs in the Northern Territory to visit family on New Year's Day and was spotted three times walking along the Stuart Highway several kilometres north of the town on January 2. Her family are still in shock. "We are desperate for information. We need somebody to come forward, someone that has seen something," her older brother, Eric Hayward, said. It was her first visit to Alice Springs. "She's a compulsive walker. She walks long distances and it's not uncommon for her to be walking 10 or 15 kilometres," Mr Hayward said. "But in an unknown area — she was only there for a day and a night — she may have well have just wandered off." Frustrated detectives said they were no closer to finding her. "To date things have actually slowed down," Detective Senior Sergeant Allan Milner said. "We're hoping by talking to the public again it'll generate enough interest that someone could or may come forward. "We've had a number of sightings that have returned negative results unfortunately." Mr Hayward said his sister needed some time away from her home in Perth when she travelled to Alice Springs. "I don't think it was a long-term thing, I think she just needed a break from Western Australia," he said. "Something's gone wrong and we just don't know what's happened to her." NT Police said in one of the three sightings, Ms Hayward was spotted by two doctors who were returning to Alice Springs. It is understood they stopped and spoke to her, and provided her with a bottle of water. "They were concerned but there was no information at the time that she was missing," Sergeant Milner said. "They believed that she was alright, nothing out of the ordinary." A mother of young children, Ms Hayward is part of a large Aboriginal family in WA. "She had a lot going for her and as a young person we are devastated not to know what has happened to her," Mr Hayward said. "Rebecca, we miss you, we love you." 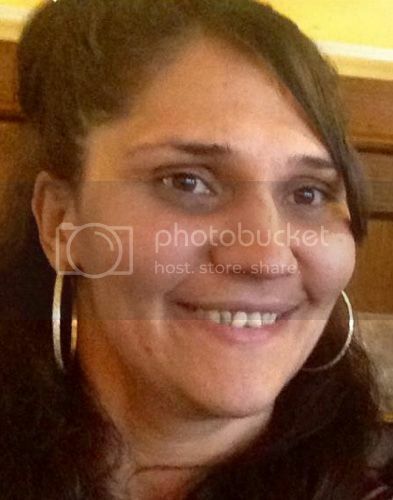 Ms Hayward is Indigenous, with an olive complexion, long dark straight hair, brown eyes, medium build and is about 173cm tall. Anyone with information is urged to call police on 131 444 or contact Crime Stoppers on 1800 333 000.